Ever wanted to play a good ninja game? I don't mean a game that's good and has "ninja" in the title, but a game that actually tries to create atmosphere and gameplay that would be considered ninja-esque? A game where stealth is your greatest asset, combat is swift and brutal, and enemies are either oblivious to your presence as you pass them by in the shadows, or grow more fearful of you the more of your handiwork they find while you remain unseen? Well now you can, because Mark of the Ninja is just such a game. After playing Mark of the Ninja for just a few minutes I knew I was going to love it. 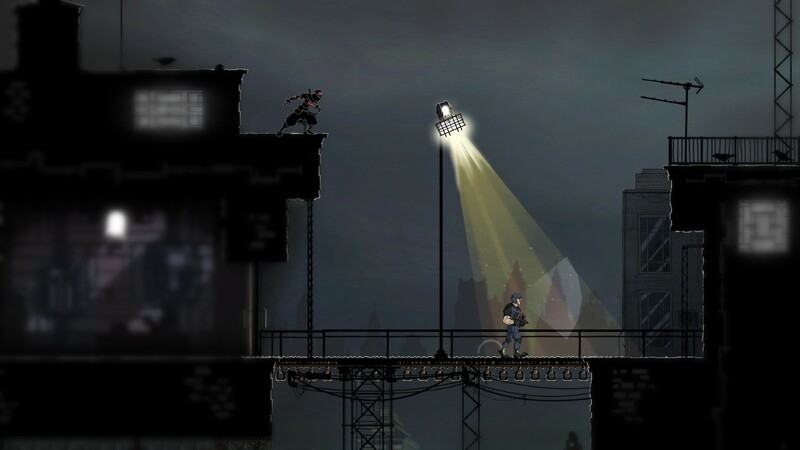 A 2D action platformer barely begins to describes this game. 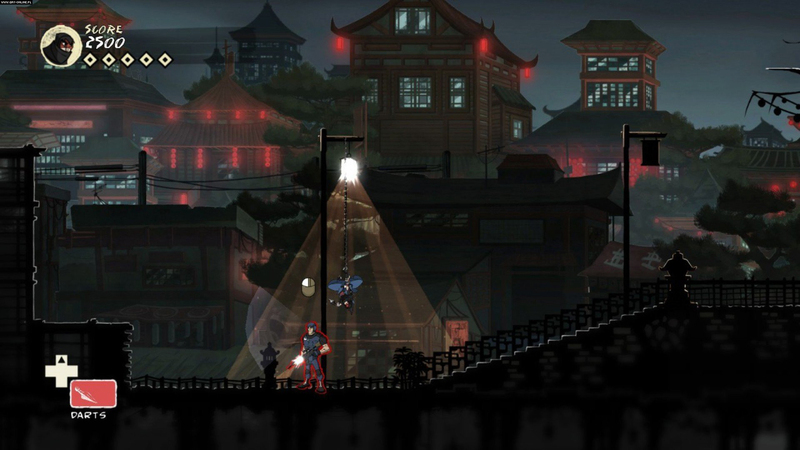 Although stealth is the name of the game in almost every situation, Mark of the Ninja supports any mixture of 3 distinct play styles: Stealth, Combat, Terror. STEALTH: If you want to pass by your enemies unnoticed and unmolested, you can. It is possible to complete every mission without killing a soul. There's even an outfit you can unlock that doesn't allow you to carry a sword, but silences all movement completely to facilitate this method. Distraction items can be used to divert enemies and guards carrying important items can be pick-pocketed instead of assassinated. COMBAT: If you want to be able to go toe-to-toe with your gun-wielding adversaries, you'd better be prepared. Stealth will still be the quickest and easiest way to dispose of guards, but if you gear up for combat you won't have to run and hide if you are discovered. Another suite of armor is made specifically for this play style, granting extra health, combat prowess, and health regeneration from silent kills. TERROR: As Batman could tell you, fear is as great a weapon as anything made of steel. Enemies that find the bodies of their fallen comrades will become suspicious, and cautious, but their fear will also start to grow. As your ninja skills improve you can unlock more gruesome ways to kill guards, which will horrify their fellow guards enough that they will shoot at anything that moves, even each other. Once again, there is an outfit that increases the success of this play style. 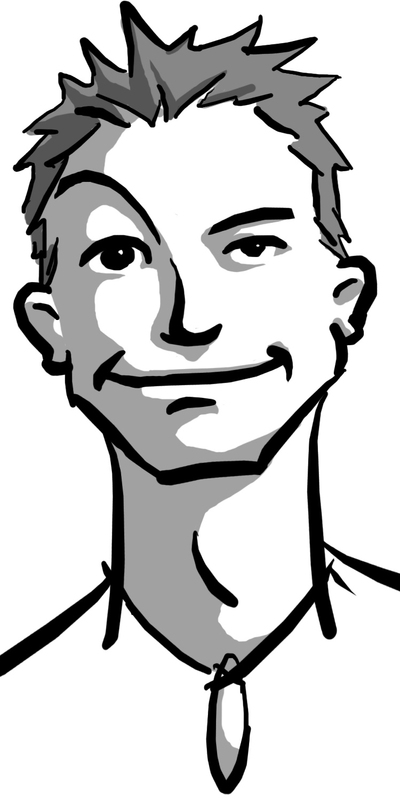 -Flexible play styles. Mark of the Ninja has so much to offer in styles of play—with so many different traps, accessories, and outfits that accommodate different play styles (more than the 3 mentioned above)—there should be something here for everyone. -Replayability. I found myself replaying many levels (which you can easily switch between), to try different play styles, find all the hidden items, or just for fun as often as any other reason. There is even a New Game + mode that allows you to restart on a much harder difficulty with all of the skills and items you unlocked in the previous game. -Intriguing Story. Although on the surface the story seems to be a simple one of revenge, it takes some interesting twists that are never fully explained or understood until the final level where the player decides between endings. It's easy to simply replay this last level to see the other ending, which is another plus in my book. -Polished. From the tight controls to the incredible visuals, or the simple fact that I never experienced a single bug, this game shines. -New Game + difficulty. Although I appreciate the addition of a new game + mode, and added difficulty, I didn't like one of the features of this mode: hampered visibility. This made the NG+ a bit too difficult in my opinion, and I didn't play it for very long before I gave up. Luckily I can still enjoy the original mode, so this is a fairly minor quibble, and others may enjoy the extreme difficulty. -Some of the later levels lack the fun of the earlier levels. Specifically the levels that take place in a desert town. These seem to lack the ingenuity and creativity of the earlier levels, and some areas of these maps were nearly impossible to get by while I was doing a "No Kills" run through, requiring numerous retries. I eventually found myself just running through them to finish quickly, rather than taking my time enjoying them. SUMMARY: Mark of the Ninja is the first game I've ever played where I really felt like a ninja. Lurking in the shadows waiting for the perfect moment to strike has never felt so good, or been so rewarding. Watching enemies succumb to fear rather than running around blathering about how they're going to find you was refreshing. I highly recommend this title to anyone who ever wanted to play a good ninja game.